Welcome to the first day of October! 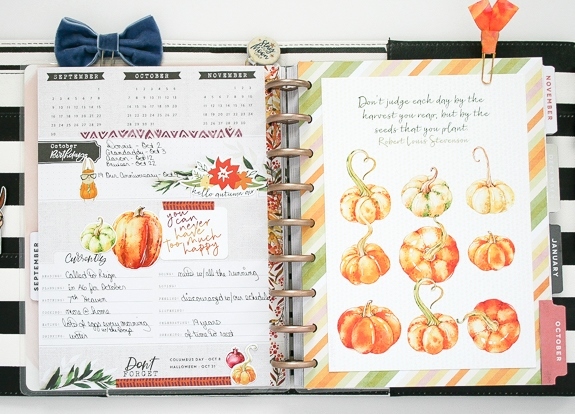 Wendy here today sharing how I use Cocoa Daisy in my Happy Planner, my main planner for the past 3+ years. 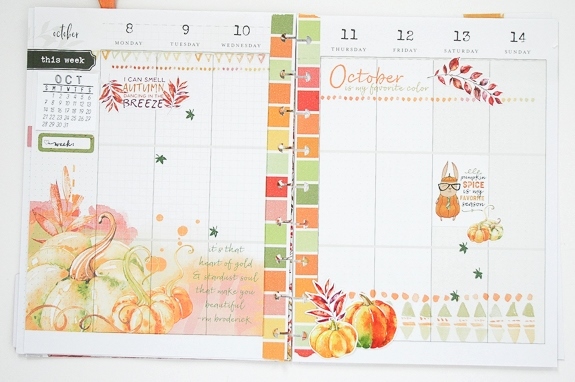 I love my Happy Planner, but I used to hate the blank pages until I discovered the Cocoa Daisy kits. 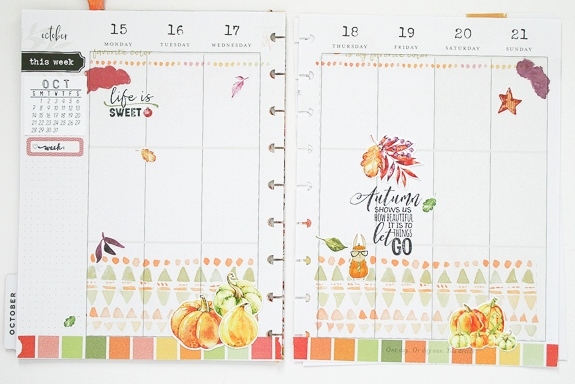 At first I would fussy cut to my hearts desire to spice up my pages, but since I’ve begun using the printable to customize my pages my love of my Happy Planner has escalated beyond my wildest imagination! 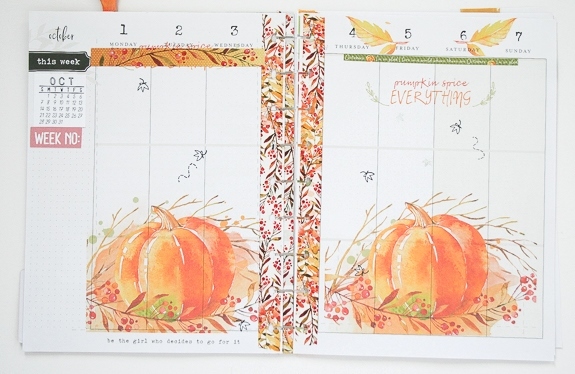 I have included a video to see how I customize my classic Happy Planner and I’ve also included pictures if you continue to scroll down for your convenience. 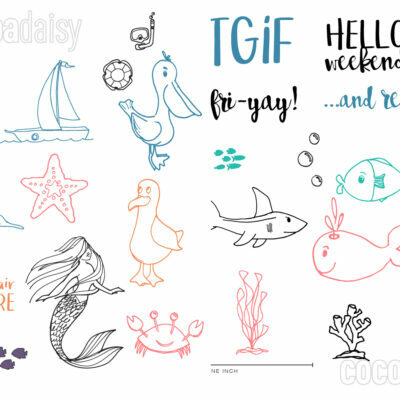 I begin my month by printing the gorgeous printables on some of my pages. 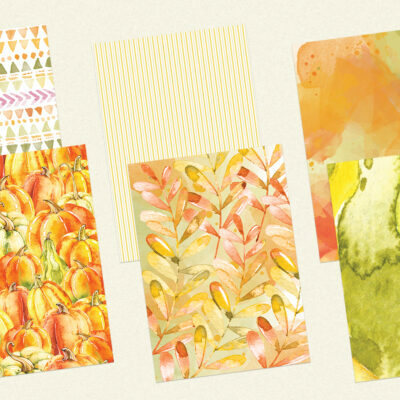 Once I have a base I begin to further decorate my pages with washi and stamps as you can see in this page. 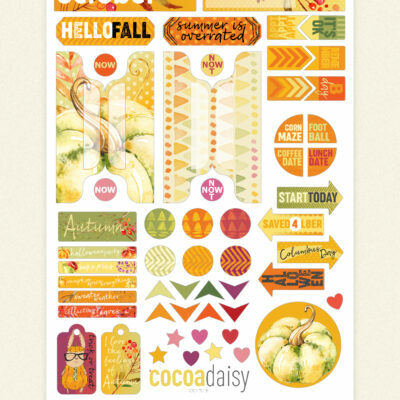 This page I added in some stickers and die cuts, aren’t the pages gorgeous now with all of the Cocoa Daisy products? 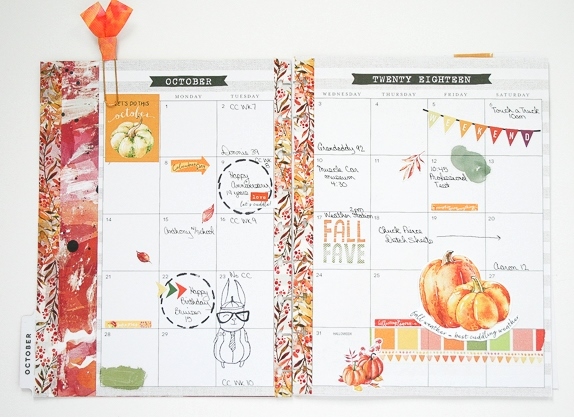 I customize my currently page and my dashboard using the various Cocoa Daisy products to make my planner all mine! 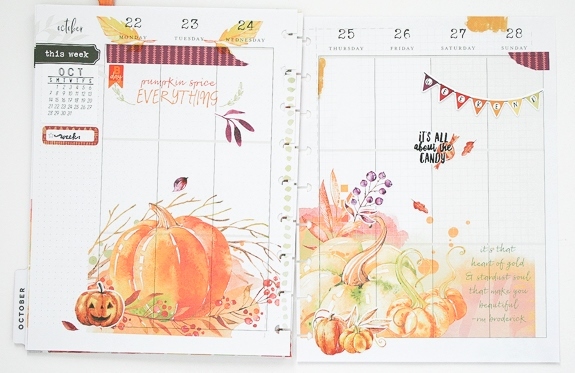 And finally, my monthly view, I am so happy to have a collection of all the gorgeous Cocoa Daisy kits saved up in my planner, it makes me so happy to look back and see all the creativity saved up in one book. 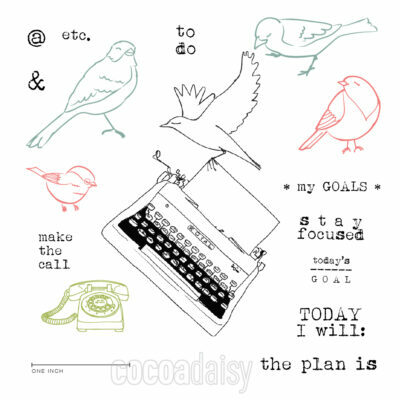 Thanks so much for joining me today, I hope this has inspired you to plan in whatever media works best for you because Cocoa Daisy works in anything! I hope you’ll show us some of the pages when they are all filled in, I can’t wait to see how they turn out! Thank you so much for sharing!